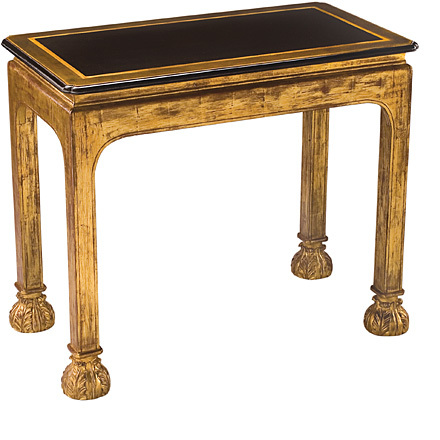 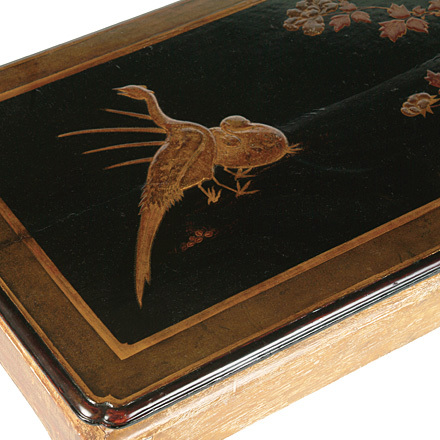 Based on an early 18th century George I gilt gesso side table, circa 1720, in the manner of James Moore. 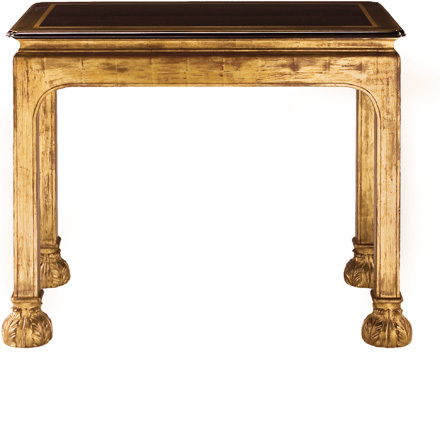 Features gilded square section legs terminating in circular feet carved with leaf motif. 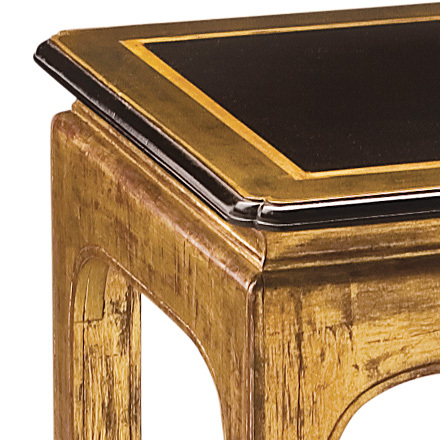 Available Options | Also available as coffee table.